Future iPhones may feature Olloclip-style interchangeable lenses — according to a patent published Tuesday by the U.S. Patent and Trademark Office. The newly-published patent describes a mechanism by which an iOS devices could be fitted with a bayonet mount, onto which various different types of lens could be attached. The bayonet mount would allow lenses to be securely fastened to the body of an iPhone, while also keeping a relatively inconspicuous profile when not being used. This emphasis on pleasing aesthetics was part of Apple’s consideration, since the patent notes how cases with built-in screw mounts change the overall look of the design and are therefore undesirable for consumers. 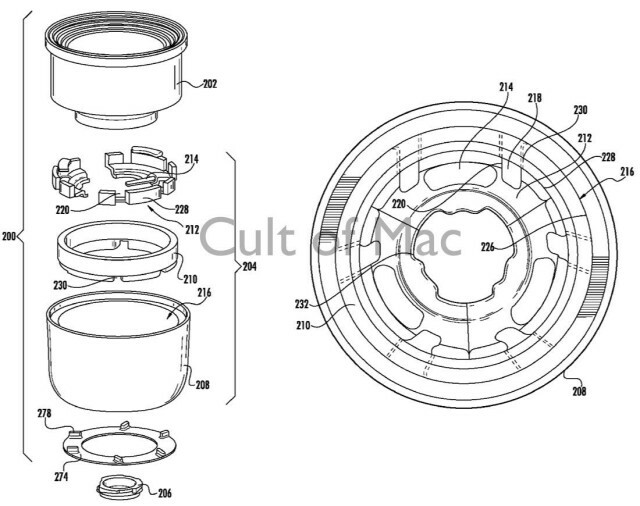 The patent also suggests that Apple considered magnetic mounts, but that these are not as secure as a physical locking system and may additionally result in lenses being misaligned. As can be seen from the images reproduced here, the bayonet solution — integrated with an iPhone’s rear-facing camera bezel — would be largely hidden by the camera surrounds. This isn’t the first time Apple has experimented with interchangeable lenses for the iPhone. In December 2010 the company filed a patent application for a Back Panel for a Portable Electronic Device with Different Camera Lens Options. At the time we noted that the added moving parts of increased complexity would likely make this something Jony Ive wouldn’t approve of for a released iPhone. As the iPhone camera takes on an increasing role as many people’s camera of choice, however, Apple is clearly looking for ways to retain its competitive edge. A separate patent, published recently, described how Apple may be considering creating a separate device (maybe a function of the iWatch?) which would allow remote operation of the iPhone camera — thereby giving photographers more control. 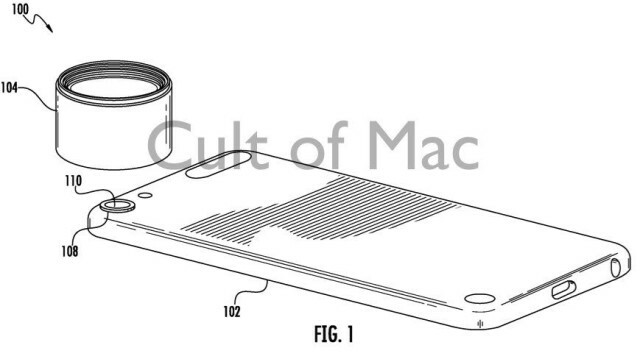 Apple’s Bayonet Attachment Mechanisms patent was filed September 7, 2012. It names Emery Sanford and Dominic Toselli as its co-inventors.